Slim-Down Weight Loss Program Cutting back on sugar is an important part of losing weight. Excess sugar adds unneeded calories and contributes to body fat accumulation. Sugar Blocker can help neutralize the negative effects of sugar in three ways: Sugar Blocker can blocker the taste of sugar on the tongue, thereby reducing cravings for sweets and sugary foods and beverages. Sugar Blocker can help block sugar absorption in the digestive system, leaving many sugars unabsorbed. Lastly, Sugar Blocker helps stabilize blood sugar, which translate into fewer sugars in the bloodstream (in the form of glucose) and less chance of sugars converted into body fat. Exercise and diet are also important components of the Sugar Blocker Weight Loss Program. 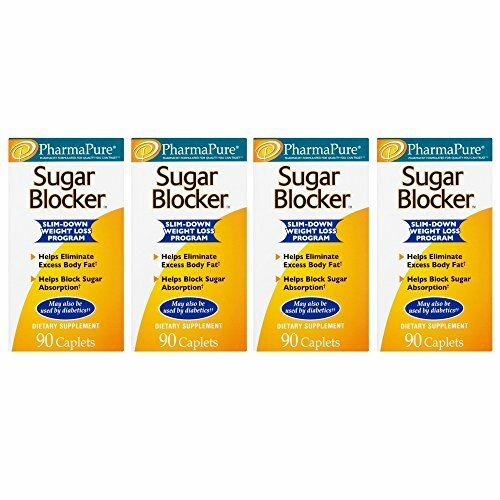 Block sugar and lose weight the PharmaPure way!